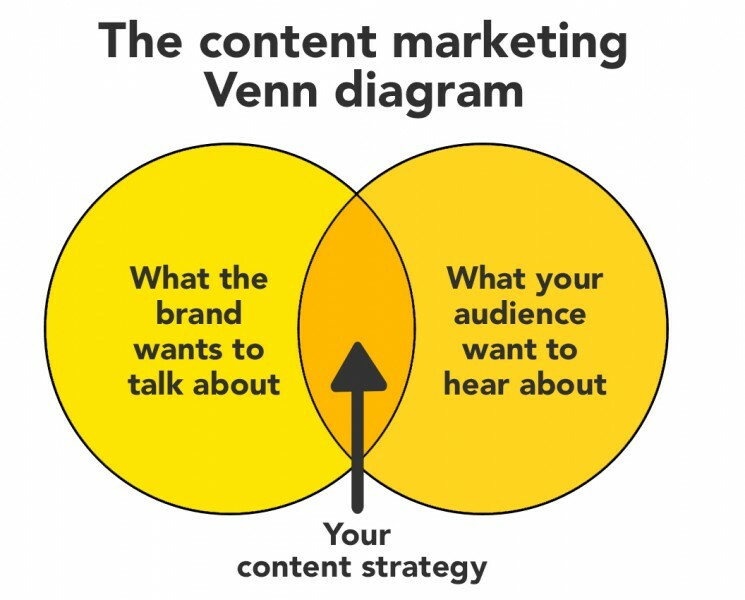 This Venn diagram describes what content a brand should create. 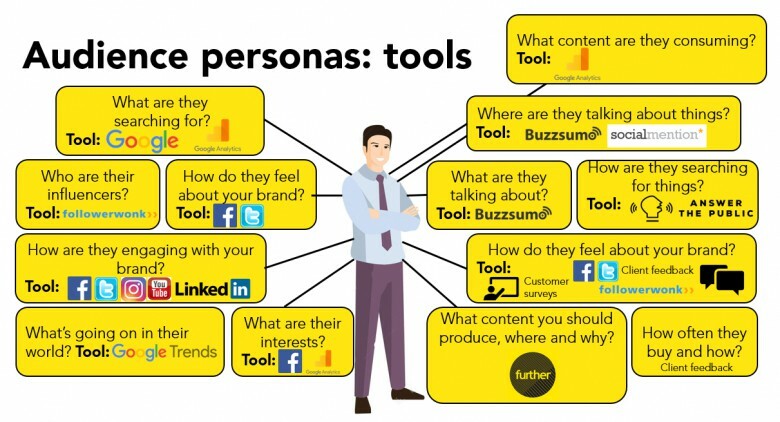 Some brands are nervous about listening to content marketers who say ‘stop talking about yourselves and your products, no one wants to engage with that’. It seems illogical to sell your product by not talking about it. And imagine the questions in the board room: ‘So wait, we’re spending £60k on talking about something we don’t sell?’ But this Venn Diagram is simple and reassuring. The most important thing is making sure the audience is considered when creating content. Then all you have to do is define ‘what the audience find interesting’. 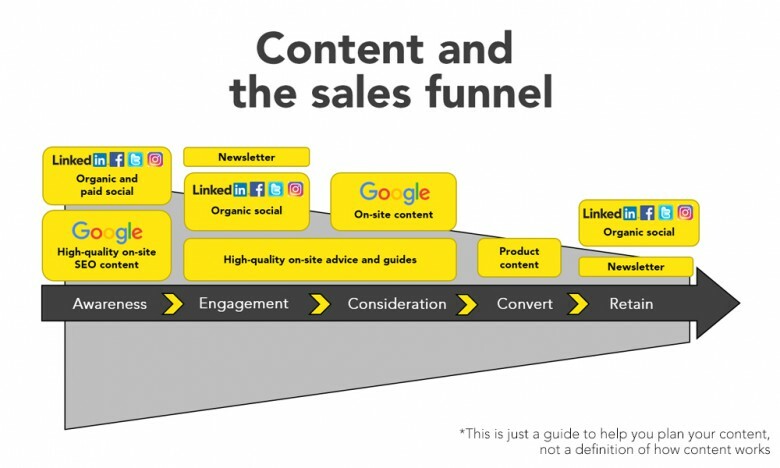 This is an important diagram to make sure you’re talking to people in the right way at every step of the sales journey. Every business will be different, but this is a great starting place to make you think about what you are doing (or could be doing) to increase conversions. It is important to make your content work as hard as it can to make sure you get the best ROI for your content marketing. 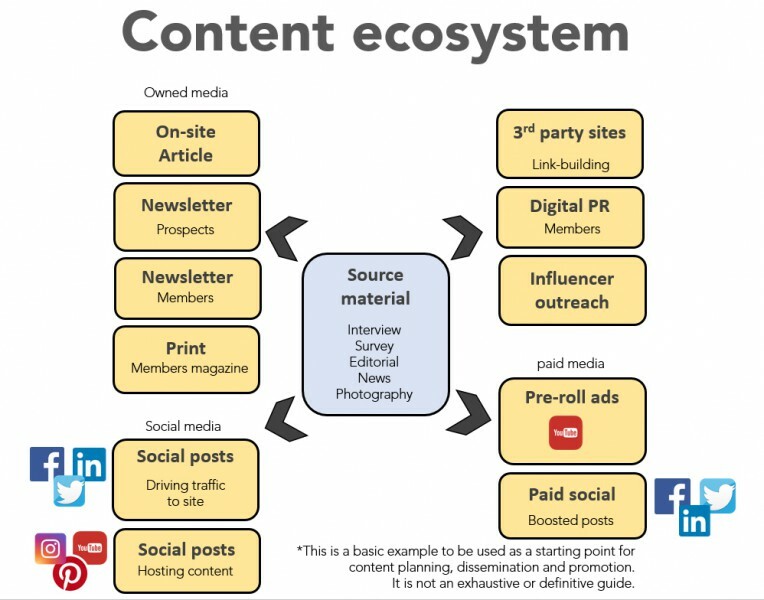 This is again a simplified version of how content can work, but it shows the places content can go and the functions it can perform. Too many of us focus on defining and creating, often forgetting to disseminate and promote. Demographic information can be useful, but in defining content, we need more/different information. The key thing is finding out our audience’s needs from a brand or product so that we can create content in the right place that answers this need. 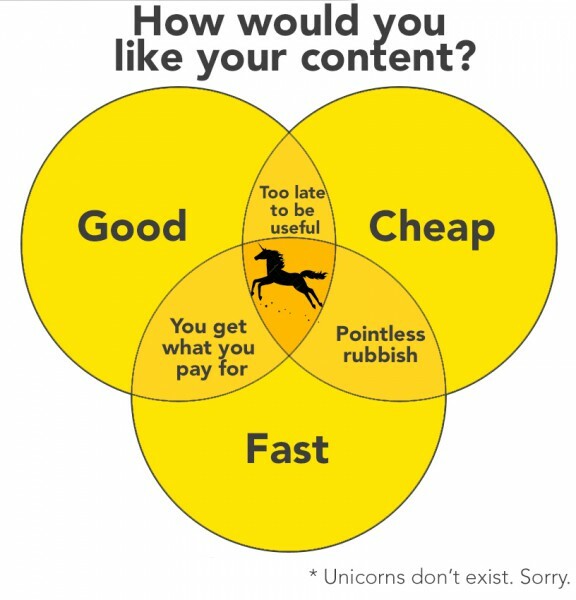 Answer all of these questions and you’ll have a clear idea of what your content should be, how you should talk about the topic and where it should go. I created this one because, like ramen, the result may feel small, but there’s lots that’s gone into it. A few lines of strategy should come from masses of data gathering, data crunching and interpretation. There’s also ideation and planning. And you may come out with what feels like ‘just common sense’, which it should, because it’s right. But this ‘common sense’ is watertight and backed up by reams of data. Many brands only half-heartedly buy into content marketing: they create content, but only because they feel they need something, but not something that really does the job. 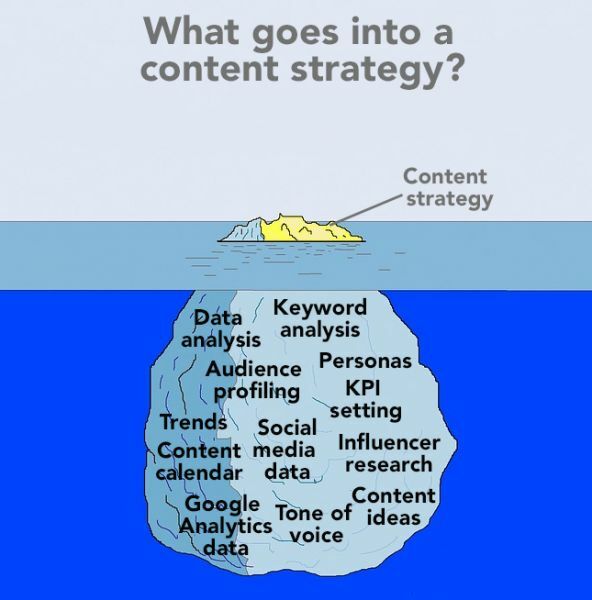 Especially because content marketing’s performance is harder to quantify than many other digital marketing tools. Great piece James, love it. 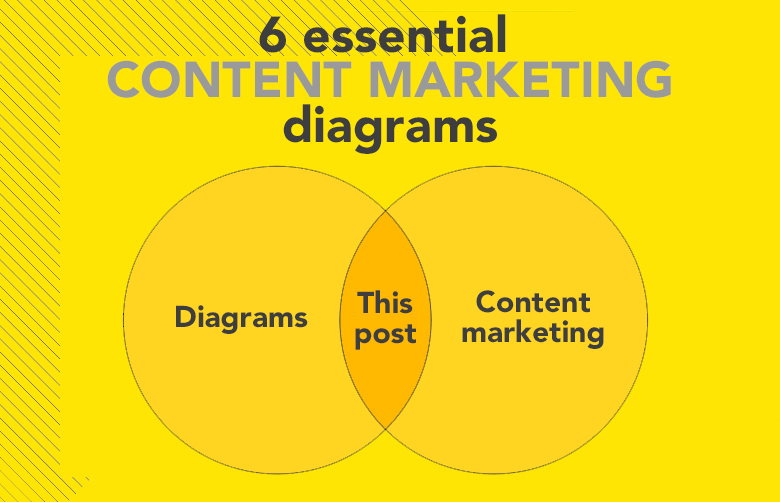 Which of the 6 diagrams would you recommend to an up and coming marketing manager?